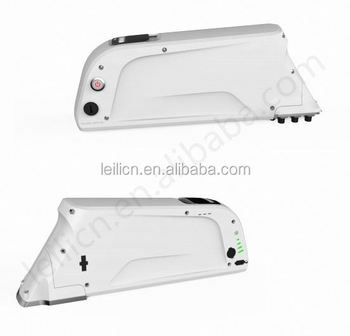 foam with carbon for36v 10ah bottle lithium battery pack. 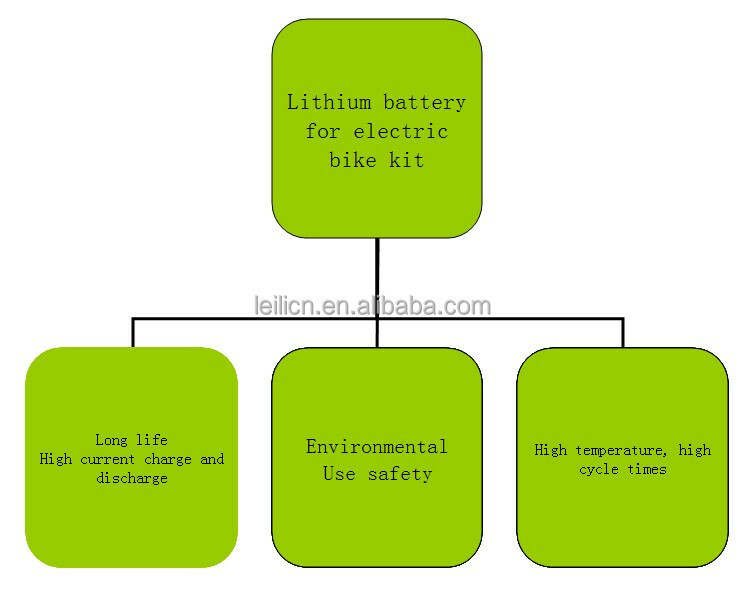 our battery pack is using the imported cells 18650 to pack, lithium battery for electric bicycle pack is one year warranty. 1. Why do you want to choose lithium ? 1. Only a quarter of the weight of lead-acid batteries. 2. Life expectancy is two times that of lead-acid batteries. 3. No memory effect and rechargeable. 4. Safer and more environmentally friendly, No heavy metals and hazardous substances. 5. Built-in IC chip will prevent battery pack over charge, over discharge, over-current, over-heat, short circuit and prolongs battery life. 6. The internal pack is stabilized by braces. 7. Avoiding mechanical accidents caused by vibration. 13.2" x 3.12" x 4.6"
4. How to mount ? What is the power motor does your battery fit ? A : Our 36v 10.4ah is suit for 250w and 350w motor . 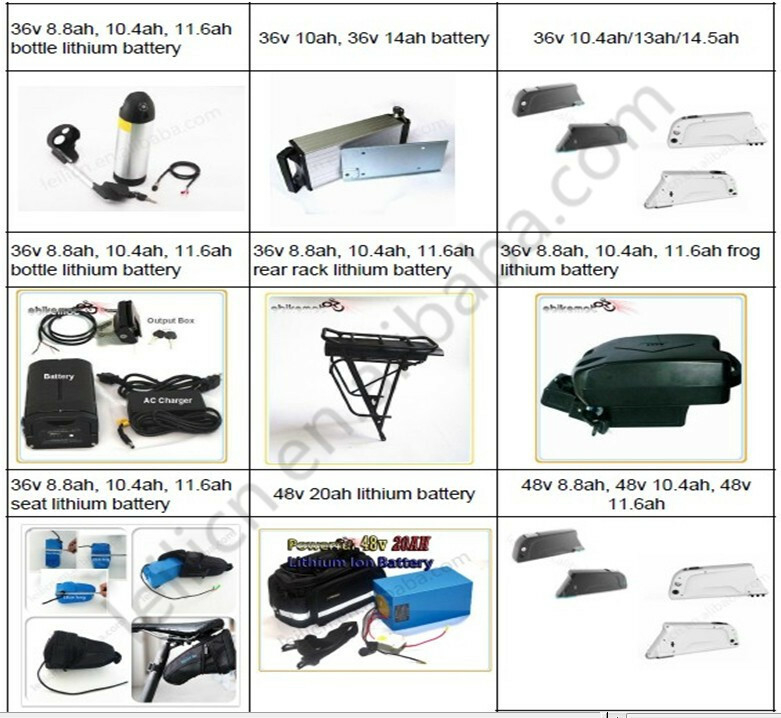 36v 13ah is suit for 36v 250w, 350w and 500w motor, 48v 10.4ah is suit for 350w , 500w and 750w motor , the 48v 11.6ah is suit for 48v 1000w motor . Is it included charger ? A: Yes, we will provide the EU , AU,USA and UK plugs for choosing . Is there any warranty for the battery ? A: yes, it is one year warranty when you get it . 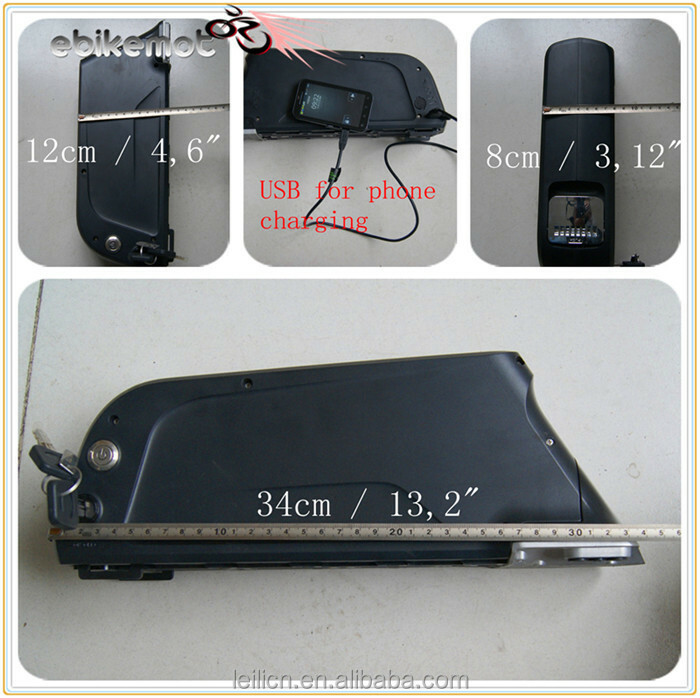 A: it is about 7 days for one sample, and 20 days for bulk order . What is the cell brand ? A: we use the imported cells to pack , very very famous . I will tell you the cells model when you u give me inquiry . A: five units . Sample is viable . 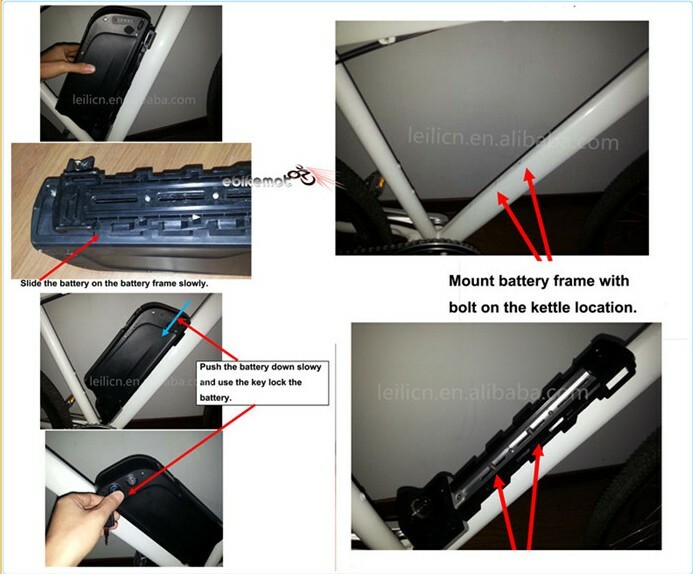 How to mount this battery on the bike ? A: please see the below photos . What is the distance ? 36v 13ah with 36v 250w, you can ride about 50km . 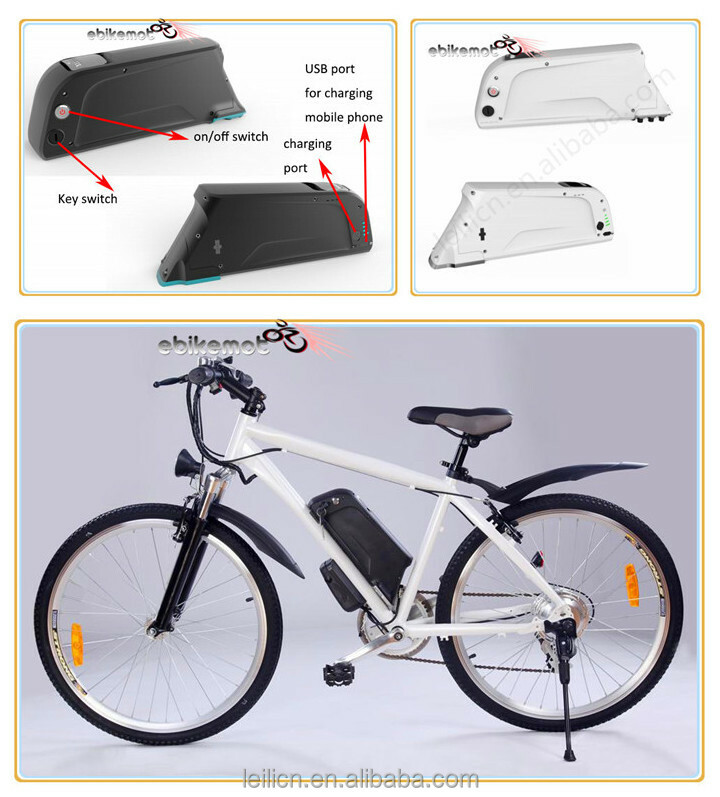 36v 13ah with 36v 500w, you can ride about 35km . So please ask leilicn if you want to know the distance, thus i will tell you the exactly informations !